Mojo Monday ~ Love and Loss – We Are All Meant to Shine! I know a few things about love and loss. for I have danced with death on more than one occasion. As I begin to write this post about a death, a birth and two heart surgeries my quirky mind jumps to thinking about the film called Four Weddings and A Funeral or those jokes that start off with “A priest, a rabbi and a minister walk into a bar…” Perhaps it is not in my best interest to share how ADHD my thoughts can be, and may I add, how they exhaust me at times. Yet it is true that these past two weeks have included the death of a great uncle, the birth of a great niece and two heart surgeries, an aunt’s and that of a very dear member of my creative Cosmic Cowgirl community. As more time has passed the shadows of doubt have grown. The community has circled around sending waves of love from around the world, while writing poems, drawing and painting, in honor of she who has taught many how to wield a paintbrush and how to mix her unique blend of black paint. In the midst of tears that I shed multiple times a day I am inspired by all the creativity and love that abounds. There is the 30 day Committing Art with Sue that launched. 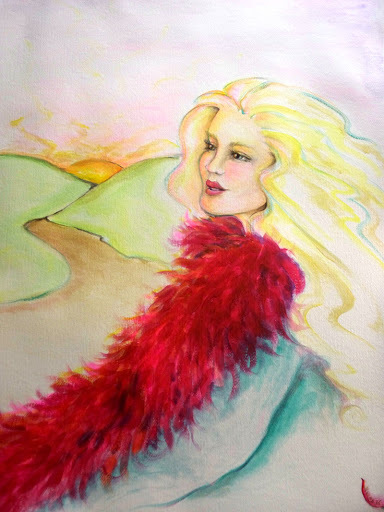 I have seen so many beautiful drawings and paintings posted by those who have been touched by her and this community. 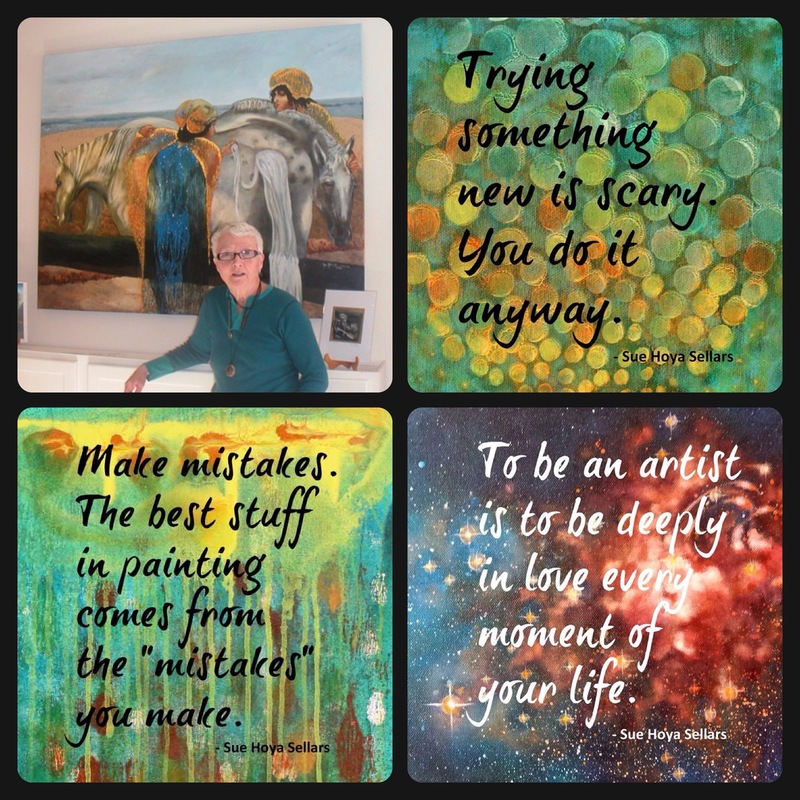 I have fallen head over heals for the quotes that artist Christina Gage has been creating from close ups of her paintings and the wise words of Sue herself. I have been moved by the poetry and written words of so many who wish to share their experiences with Sue and offer words of comfort to one another. I have loved hearing how many have visited the hospital, sitting and talking to Sue, singing to her, drumming for her and certainly praying for her. Even as I write this on the evening of Thursday, September 25th, Sue is alive, blood flowing through her veins, and her heart pumping. Actions were taken earlier today though to remove all the tubes and wires, so that family and friends could move her to her beloved Terra Sophia homestead. The latest update was that she remains unresponsive and it is expected that she will transition from life to the great mystery called death. Every day since the surgery I have awaited the announcement that she has awoken. I have expected to hear accounts of her waking to joyous reactions and great relief. I have imagined her look of surprise to learn she has been sleeping for a week. Many have suggested she has been soul traveling and will return with stories of visiting the cosmos and spending time with ethereal beings. I reflect and find irony in how my most recent taboo article for Cosmic Cowgirls Magazine is entitled We Are All Going to Die. 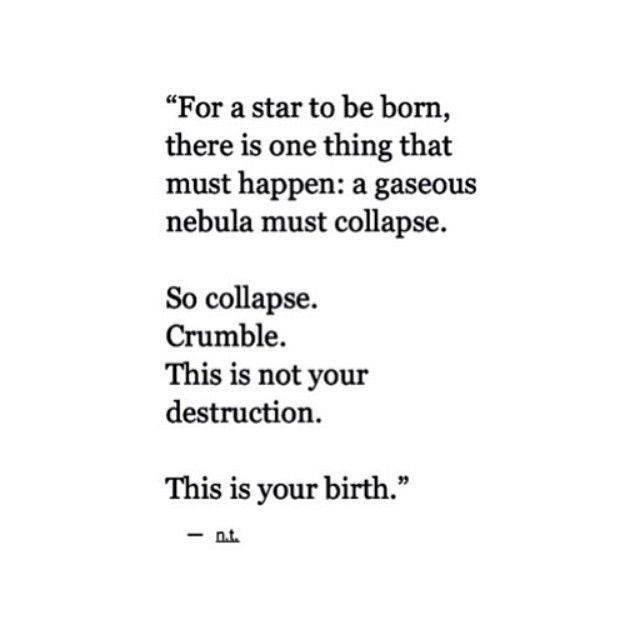 Poetry Can Help. The day my article was published is the day I learned Robin Williams was no longer with us and not long before that one of my all time favorite human beings, Maya Angelou, had passed away. In the here and now of grieving for the very real likelihood that Sue transitions in the next hours or days, the title of my own article feels more real than ever. Yes, we are all going to die and yes, as I continue to witness, poetry can help. 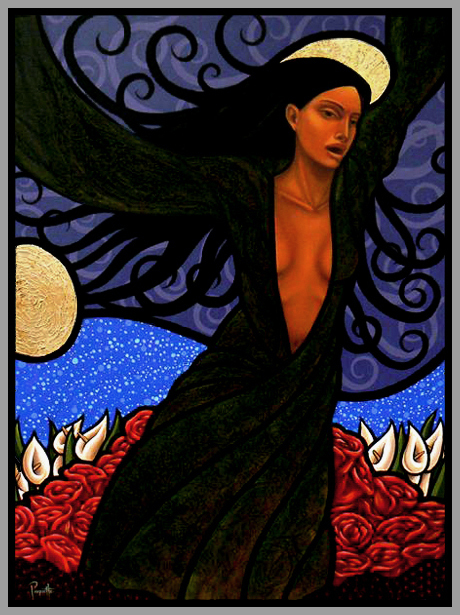 So can painting, singing, drumming and writing as we transform grief and loss into expressions of love and beauty. 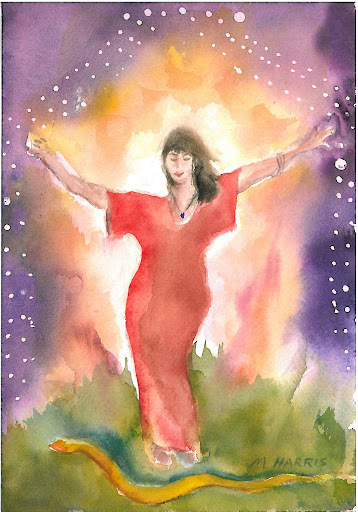 Sue believed strongly in the power of art to heal and to connect with our consciousness. As a part of fulfilling her deepest wishes and the legacy of her vision a Barn Raising has been initiated. Sue’s longtime homestead is called Terra Sophia and an invitation has been extended to be a part of Sue’s vision for her property to become a sanctuary for committing art. Please visit the “Barn Raising” site to learn more on how you can participate. On this site is also a beautiful video that offers a peek into Sue’s world at Terra Sophia. I have been a part of the Cosmic Cowgirl community since October 2008. This tribe of creative women has impacted my life significantly. Sue intimidated me a little the first time I met her and I joke that it was the “toilet paper lecture” that did it. Those who have heard this same detailed instructional guide from Sue can nod knowingly and then giggle. It was the second time I met her that I was struck strongly by the depth of her love and kindness. I saw in her eyes the wisdom and the generous heart that poured forth. I admired her deep contemplative mind and her gentleness. I also loved her humor and wit. That second time upon preparing to depart from an amazing weekend spent with Cosmic Cowgirls I went to say my goodbye to Sue and found myself spontaneously announcing “I love you Sue.” I saw the glisten in her eye as she took in my heartfelt words. Some people affect us more deeply than we know, especially when faced with their departure from our lives. Sue was at the heart of the Cosmic Cowgirl community. She is beloved to us all. I pause while typing this to hold my hands to my face while stifling a sob. I wipe my nose and dab my eyes and return to sharing written words for comfort and a way to process the grief. Later I will turn to the paintbrush and a canvas to transform tears into expressions of art. Always I will turn to this community of creatives for connection, friendship and support. 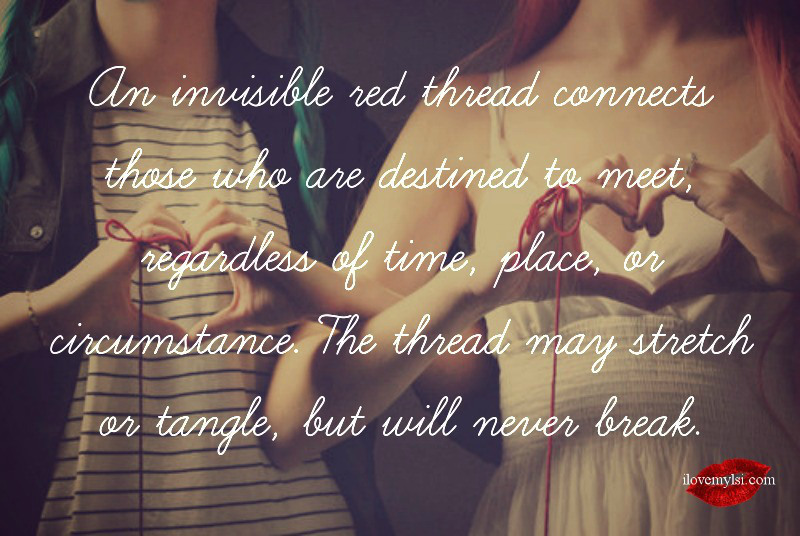 We are bound by the red thread. In closing a song that felt called to be shared. Thank you dear one for your words. So many synchronicities, so much to witness. And you do it with wisdom and grace. Thank you so much for sharing this and for introducing us to Sue.